When your work calls for outstanding image quality for your day-to-day production, choose this versatile self-adhesive polypropylene film. Compatible with both HP dye- and pigment-based inks, this instant-dry, easy-to-use film helps keep your production process moving smoothly. And indoor prints provide over 50 years unlaminated display permanence. See outstanding image quality. 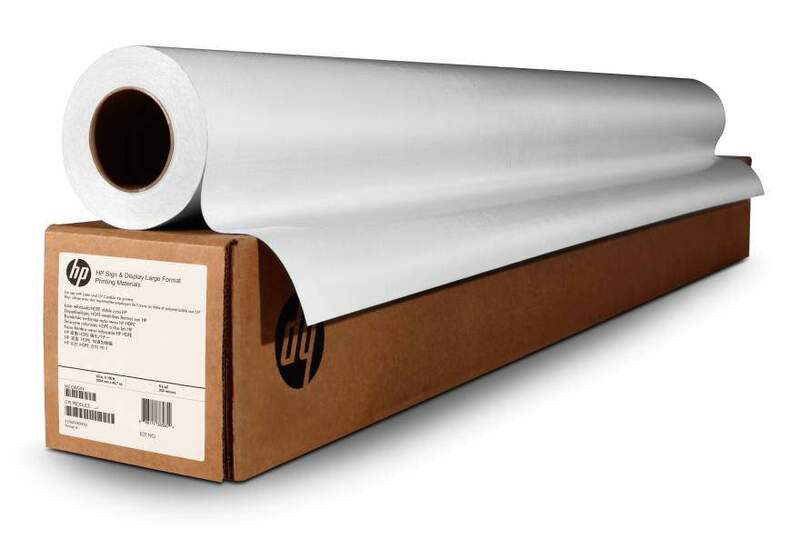 Work with the wide color gamut and smooth transitions delivered by this matte polypropylene material and produce quality prints from line drawings to photo-quality POP displays.Help keep your production process moving smoothly. This easy-to-use film features a permanent self adhesive for secure, reliable mounting.ICC profiles help you get the right color, right away. Take advantage of compatibility with HP dye and pigment inks. Offer over 50 years unlaminated indoor display permanence, on this versatile, easy-to-use printing material.